With Goji berries and Organic Mixed Dried Fruit. 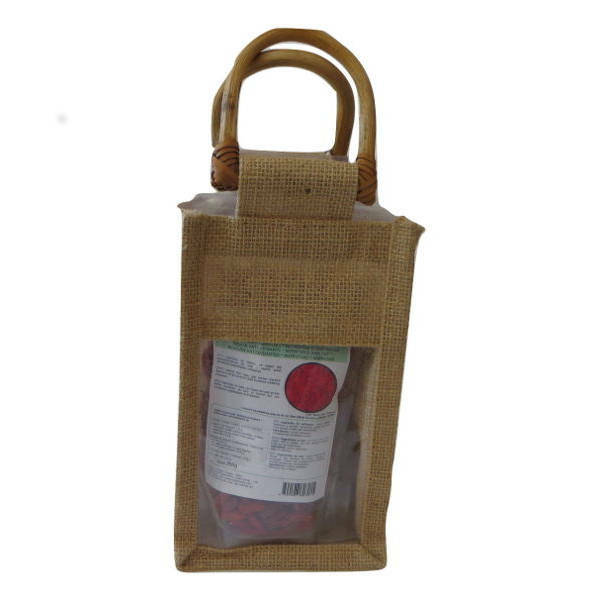 With Goji Berries and Organic Mixed Dried Fruit, packed with antioxidants in a lovely raffia bag. 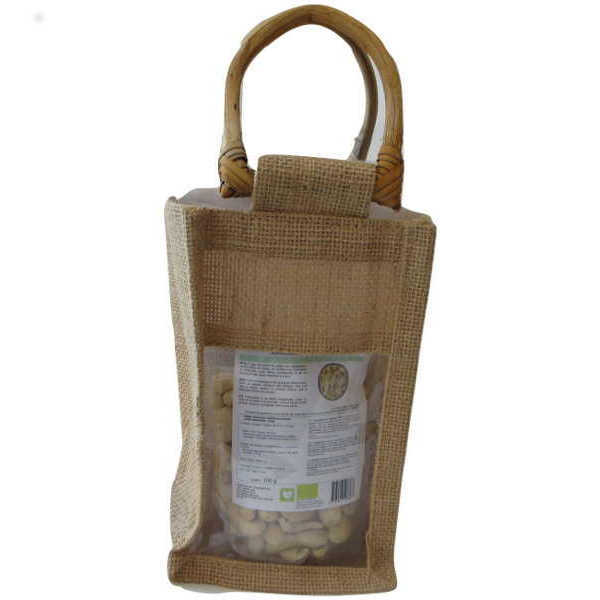 - 1 pack of Organic Mixed Dried Fruit Midzu 200 g – This mixed dried fruit selection contains organic sultana raisins, almonds, peeled almonds, hazelnuts, cashews and walnuts with no added sugar or salt. - 1 pack of Goji Berries Midzu 250 g – Goji Berries are a rich source of aminoacids, minerals and C, E, B1, B12 and B6 vitamins. Gluten free. With Organic Cocoa Butter and Cocoa Powder. 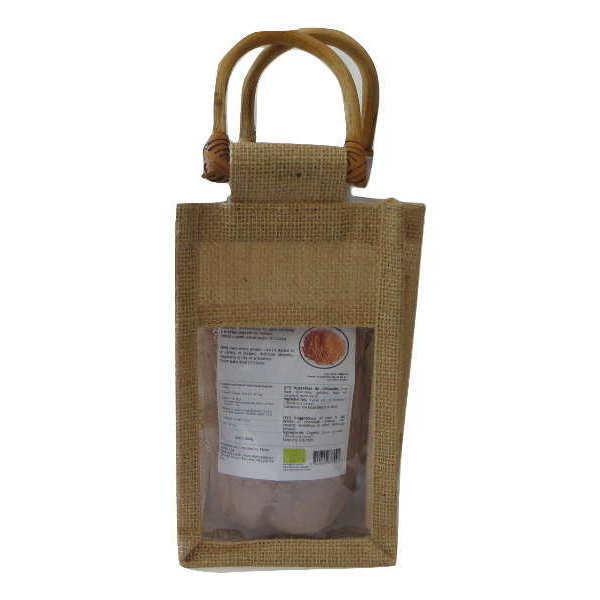 With organic dried figs and raw cashew nuts, with heart-healthy nutrients.